This character is based on an Historical Person. In respect and Awe I offer this brief explanation of my inspiration. Mistress to Emperor Xuanzong (r.712�55), the daughter of Yang Xuanyan, a census official in Sichuan. Orphaned as a child, she was brought up in the household of her uncle, Yang Xuangui. 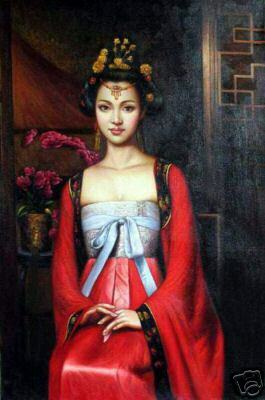 Famed for her beauty, she entered the imperial harem and became favourite concubine to the Emperor Xuanzong. She used her influence to secure royal positions and titles for her family, and promoted the rise of An Lushan, a young general who she legally adopted as her son. While the besotted Emperor neglected his duties, An Lushan staged a rebellion and took the capital (755). 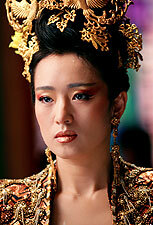 Xuanzong was forced to flee south, taking Yang Guifei with him, but she was killed by his soldiers. Her story has been the subject of many Chinese poems and dramas.